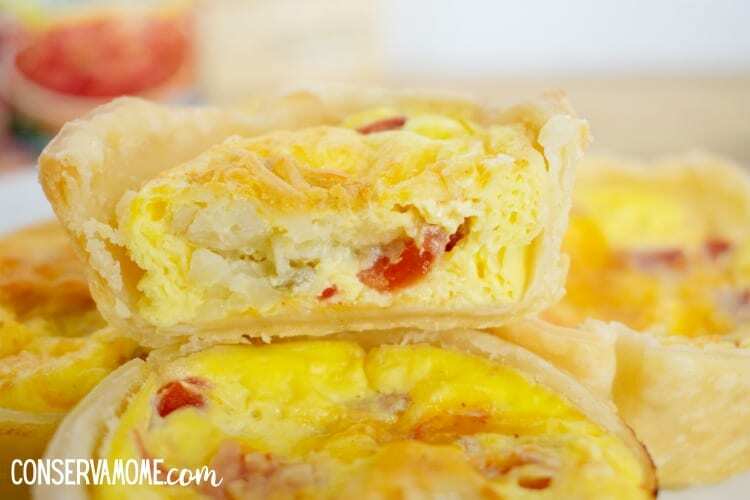 Check out this delicious and easy brunch recipe , Quiche Delight. 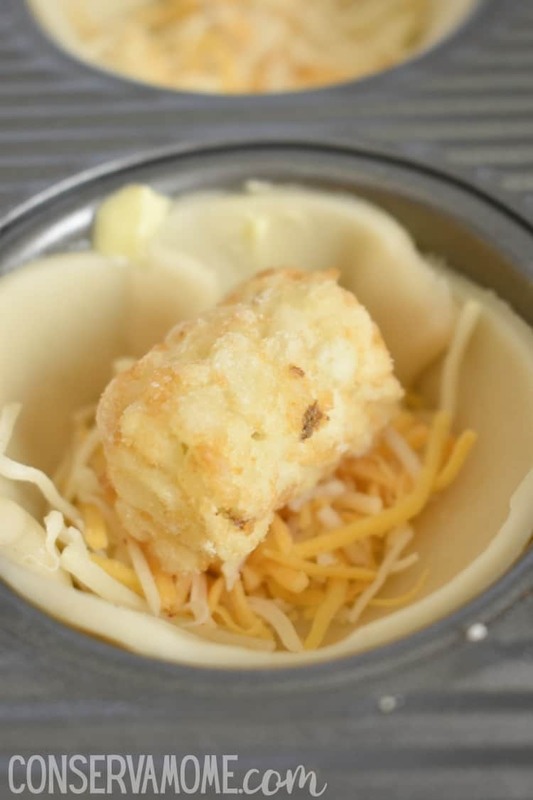 These small bites will be the hit at any Brunch or Breakfast event. This post is sponsored by Mirum, but opinions expressed are my own. I love Brunch but let’s face it getting together the perfect recipes can be time consuming. Especially when you’re a busy mom trying to juggle kids, life, holidays and more. That’s why I love, love, love, this fun and delicious Quiche Delight Recipe. It’s not only perfect for a delightful brunch with friends but I promise you, your whole family will devour them. 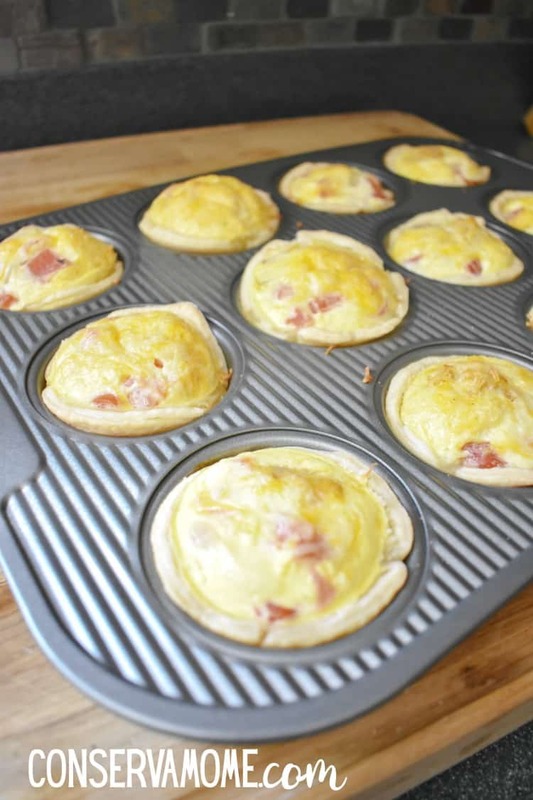 Although the name may sound fancy and these may look delectable and delicate, each bite of these delicious Quiche delights are filled with some amazing flavors thanks to some key ingredients. Best of all these products are available at Walmart. Which means you’ll have the quality ingredients you need at the everyday low price you love. Shopping at Walmart makes my life so much easier, I’m able to get all the items I need for the recipes I’ll be making along with the products I need to make them like A circle cookie cutter and Small Quiche pan. 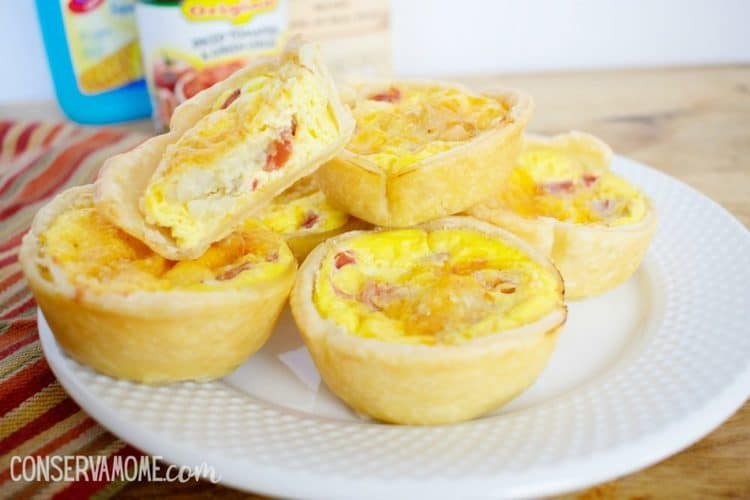 Most important I can grab the “secret Ingredients” that make these Small Quiches a delight! 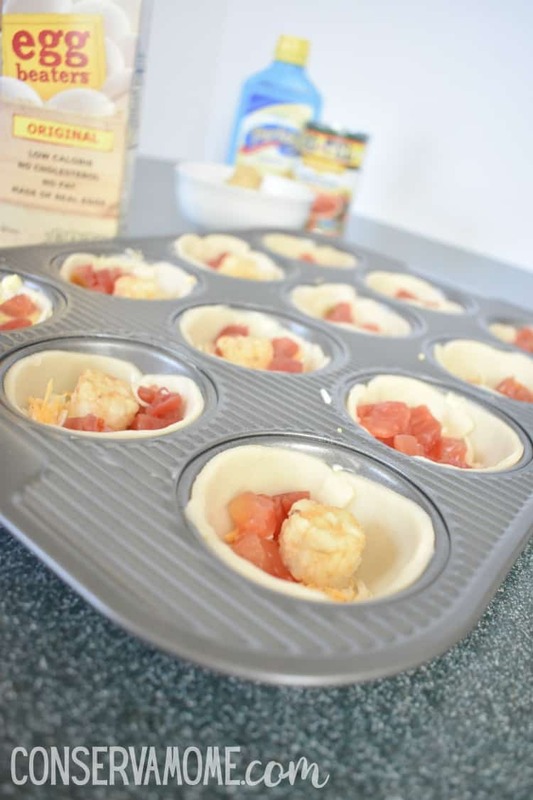 Read on to find out what make these quiches different and amazing…. Like delicious and super convenient egg beaters. 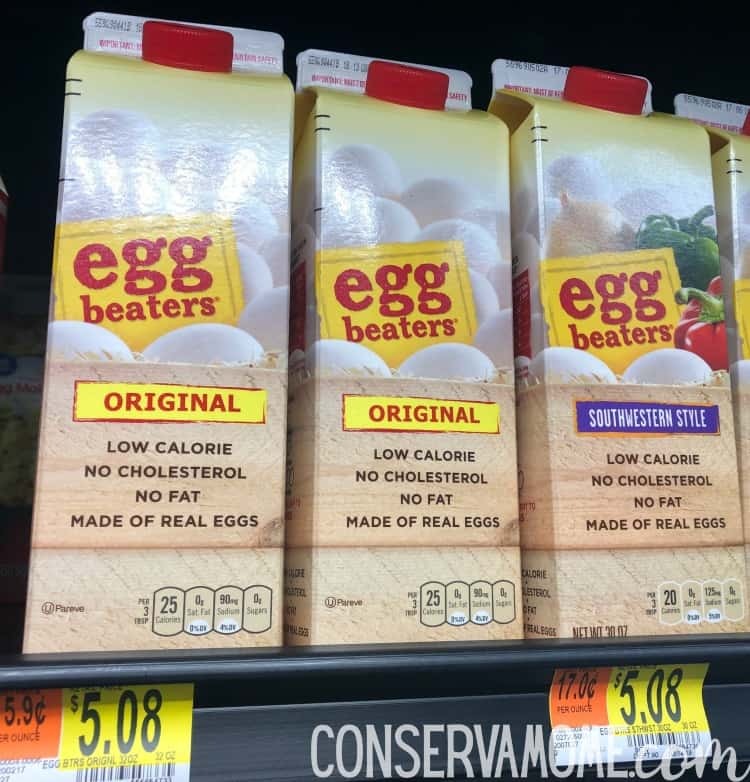 When you want the similar flavor of real eggs with fewer calories, EGG BEATERS Original Real Egg Product is the way to go. Made from real egg whites with added vitamins and minerals, EGG BEATERS provides a good source of protein and half the calories* with no cholesterol or fat, so you can enjoy your breakfast fuss-free and guilt-free. 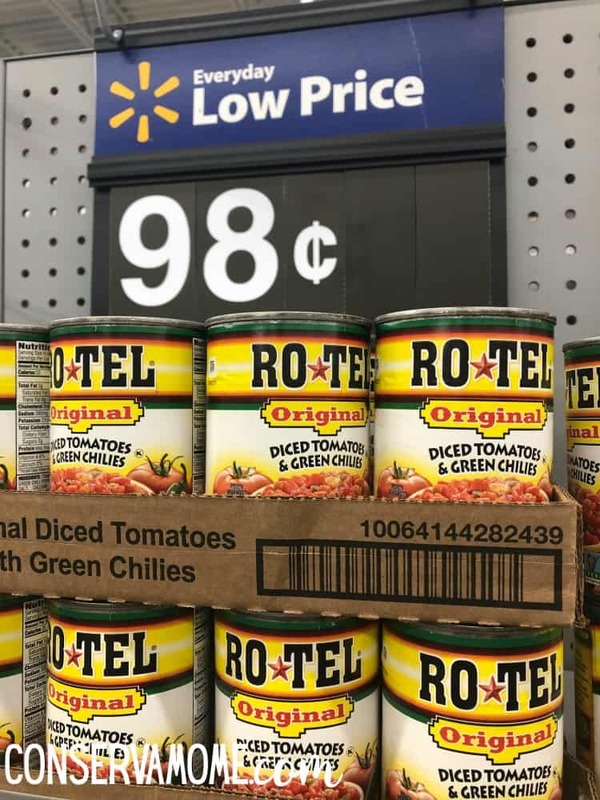 Make your recipes bolder and flavorful with RO*TEL Original Diced Tomatoes and Green Chilies.Vine-ripened tomatoes, zesty green chilies, and a mix of spices are what give RO*TEL Original Diced Tomatoes and Green Chilies its BOLD, adventurous taste. 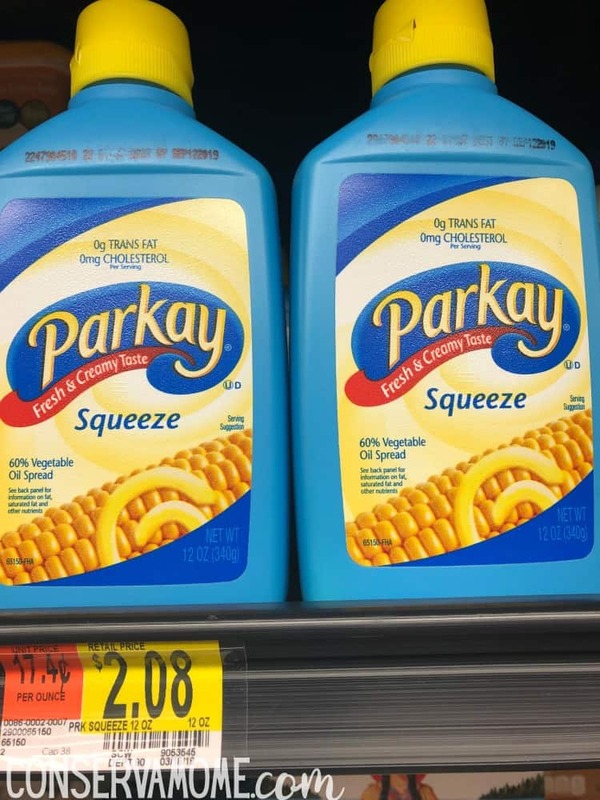 With 0 grams trans fat and 0 mg cholesterol per serving, Parkay comes in spreads, sticks, squeeze and spray bottles for cooking, baking, and topping all your favorite foods. Treat yourself and your family to its rich, buttery taste—you’ll never go back to butter. Most important like I mentioned above you can grab these and the rest of the ingredients conveniently at Walmart! 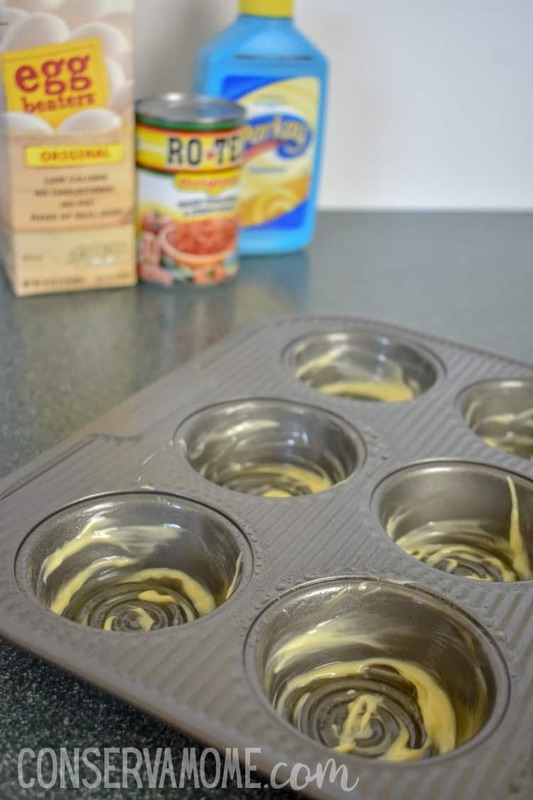 Now for the Delicious Quiche Delights recipe! 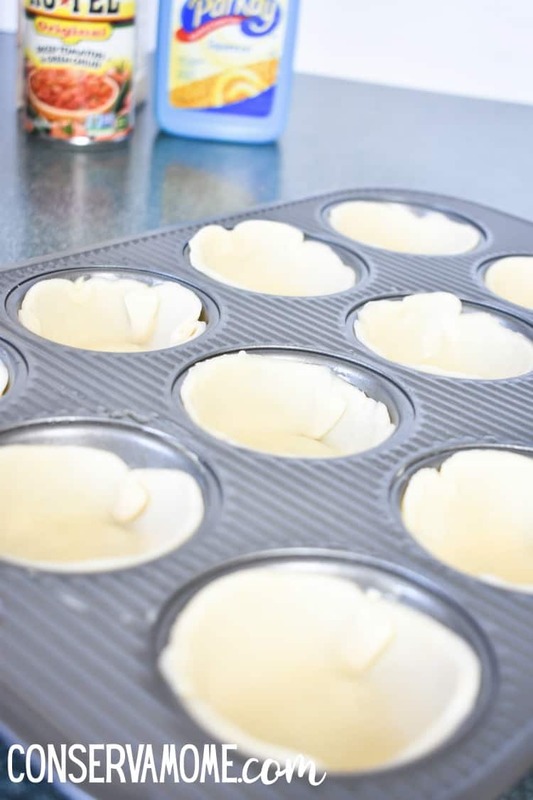 Small Quiche pan- I used a Sweet Creations quiche pan you can grab at Walmart. 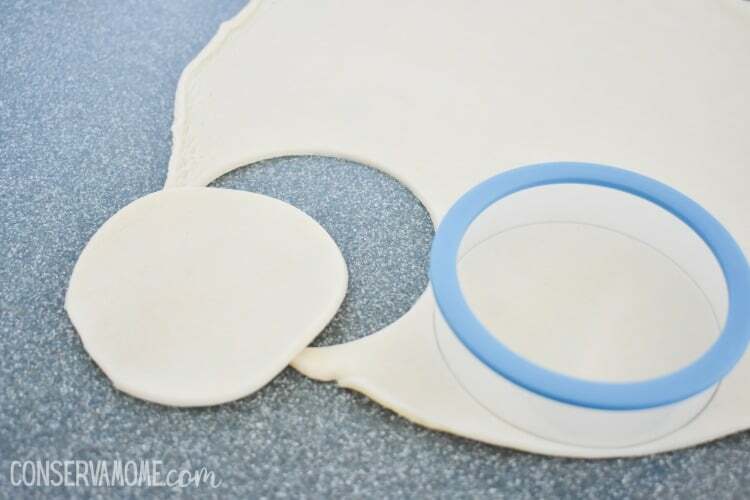 Roll out the refrigerator pie crust and cut out circles using the 4 inch cookie cutters. You’ll need 12 for one batch. Lightly grease with Parkay around each quiche opening, I love the flavor but wanted to cut out the calories that butter would have given this recipe. Place crust circles inside each opening, you can pinch the sides a bit for fit. 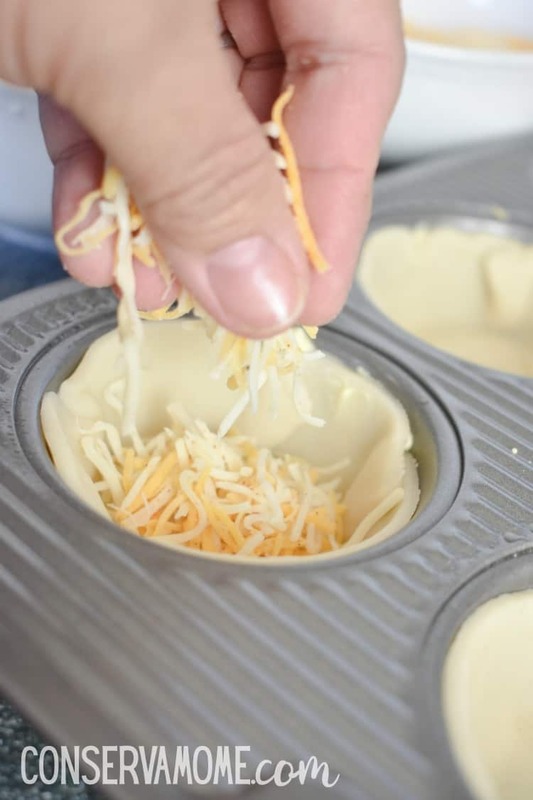 Then you will get a pinch of the cheese and put it in each cup. Then place one tater tot in each cup. Add about 1/2 -1 teaspoon full of RO*TEL in each cup. 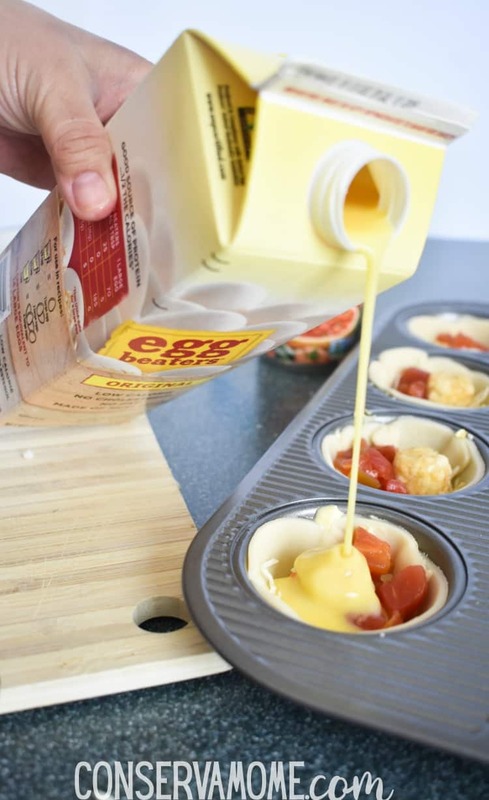 This is where it all comes together and you realize how crazy easy this is…Because you’re already using the flavorful RO*TEL all you have to do is pour egg beaters into each cup. Since it comes with a convenient pourer you can get it easily in each cup. Bake in the oven for 25-30 minutes, they’ll be ready when a tooth pick comes out clean. They will come out puffy like you see below but will slowly go flat after the cool down. Place on a cooling rack to completely cool them down. or serve warm with a tiny drop of Parkay on top for an added buttery taste. These are so beyond amazing. My kids devour these every time I make them. Most important they are so crazy easy to make thanks to the convenience of these fantastic products. 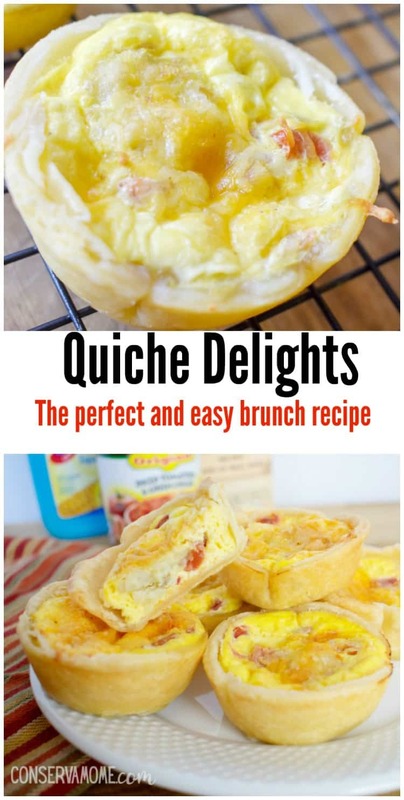 So if you’re looking for the perfect and easy brunch recipe, make sure and put Quiche Delights on your menu! 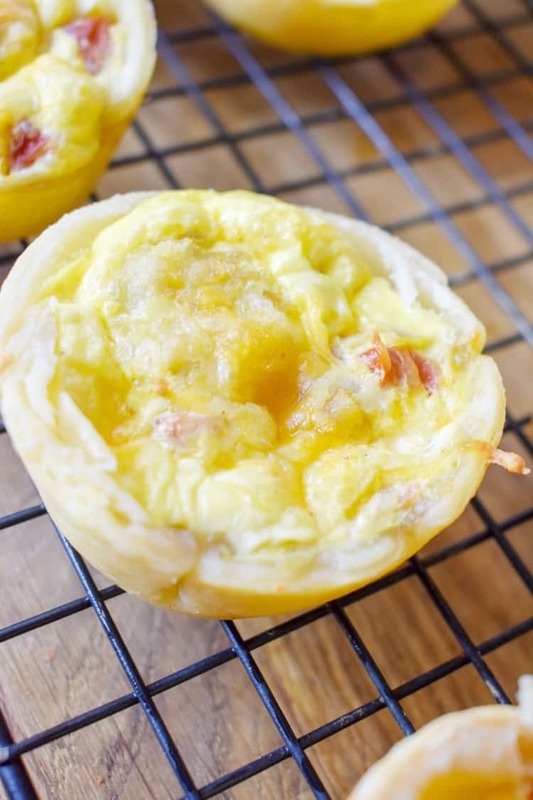 These will be the perfect Easter brunch treat! Most important don’t forget to pick up all these fantastic products at Walmart! Looking for other fantastic Easter brunch recipes? Check them out here! I love it when you can purchase premade ingredients to make things easier. It really helps cut down on time. They look delicious. I love quiche! This does look easy. I think I’ll try this out for this Sunday’s breakfast. Snacks are good. My grandmother said that eggs are not good at night even orange juice. Myth or truth, who knows. I have to bring something to my book club next week. These will be perfect. Thanks. Wow these are easy enough for a school morning. Thank you! I will this recipe to my lunch list – sometimes I run out of great ideas. These look like great brunch bites. This would be a great idea with young kids for an Easter morning. Knowing they are eating something good and tasty and they can have it in their hand. I’ve actually never had quiche before, believe it or not. But your recipe looks simple, easy & delicious. This would be great for small get togethers or for the holidays. I might try this one out actually! They look delicious. I wonder how they would be in a crustless version. I love quiche but I always purchased premade but this looks really easy to make so I’m going to try it out. These look yummy but I think I’ll skip the imitation butter.